This year has been a one, hasn't it? I've not had much to say and when I have, it's not been pleasant and certainly not for the faint of heart. But, I can report that the bird is back writing. Yes, she has hung up her camera for the time being and gone off into the world of fairy tales and fantasy. The cat has had several art projects and still has a pile of them, cluttering the table and ruining the ambiance of the parlour. 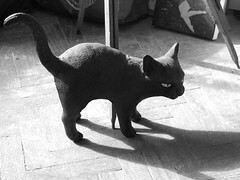 Recently, the cat entered a competition to design a logo for her friend's business. Although it didn't win, it may be turned it into a carving to use in the massage room! If you happen to be lucky enough to live in Columbia, South Carolina contact Robin for a massage! 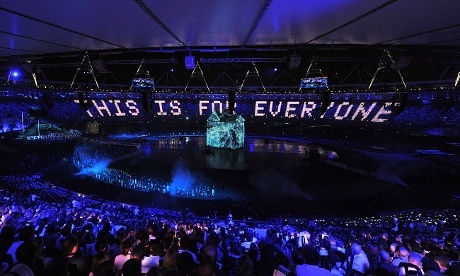 Some of the highlights for us were local East Londoner Dizzee Rascal performing Bonkers and Scot Emeli Sande singing a beautiful version of Abide With Me (neither of these links are from the opening ceremony). 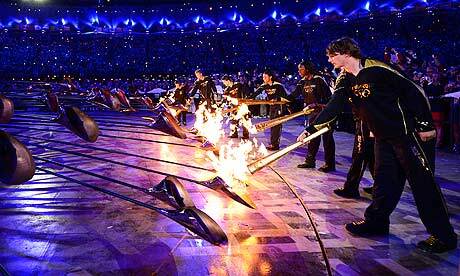 Possibly one the biggest moments was the inclusion of Sir Tim Berners-Lee. This is the man that gave us all the World Wide Web and for which we wouldn't be here discussing this on a little blog in our corner of the world to anyone out there wanting to read it. The other big moment was a tribute to the NHS, represented by some of the staff and patients from Great Ormond Street Hospital and sparked this photo currently doing the rounds on facebook. The Queen showed she had a sense of humour by welcoming James Bond into Buckingham Palace in a sequence that had her apparently sky-diving into the park. The big question everyone wondered throughout the ceremony was what the cauldron would be and who would light it. It was a breath-taking moment when past British Olympians passed on seven torches to young up and coming athletes to light the flame. Those weird petal-like objects that had come in with every country represented in the Olympics suddenly became a huge flower, that rose in a graceful and elegant way to join and create an awesome blazing cauldron. It was designed by Thomas Heatherwick, who currently has a retrospective exhibition on at the V&A until end of September 2012. 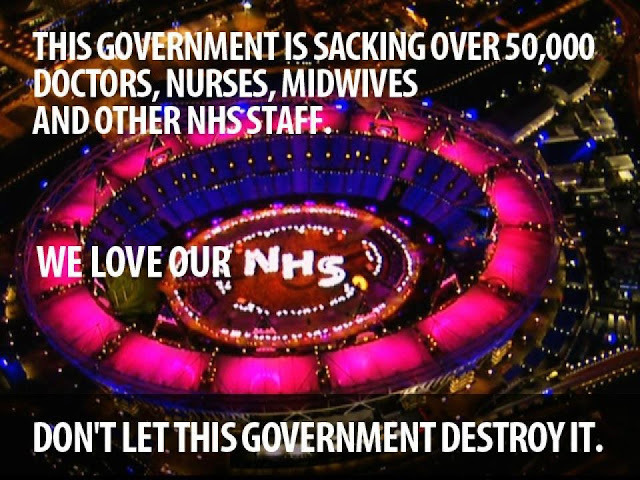 Well done to everyone involved, to all the volunteers and people behind the scenes. It was truly a spectacular event. And good luck to all the athletes competing this year! 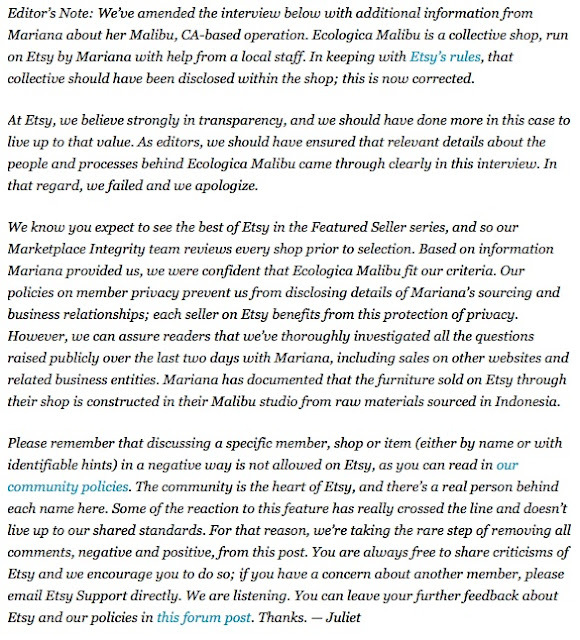 It has been a long while since I updated you about the goings on at Catbird Craft. It's been a year of rollercoaster proportions but I think that this has been true of the world and not just round our little neck of the woods. One of the reasons it has been so quiet of late is the cat and the bird have been preparing for their very first exhibition! Friends of the cat own and run The Long White Cloud, a fantastically laid-back Kiwi haven within the sound of the Bow Bells. Shoreditch and Hoxton meet here and the cafe has a rolling rota of new and established artists of different disiplines exhibiting and performing there. 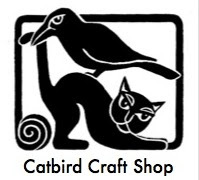 The idea for Catbird Craft's exhibition came from a condition the bird experienced, earlier this year the medications she was on were giving her this weird 'Brain Swoop'. In her words "To me, it's that feeling like your brain is physically falling inside your skull. It's not actually going anywhere but it feels like it's just dropped off its perch. It's not dizziness, it's way too fast a sensation for that." Birds in this household are of course very near and dear to all the residents. Mental health is also important to us all too. The bringing of these together was a natural process. 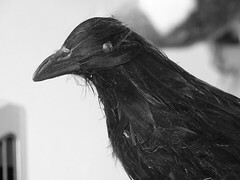 Birds may represent freedom and imagination (Lynyrd Skynrd's Free Bird/flights of fancy) or pests (Magpies ate my baby!). The two want to celebrate the many impossibly beautiful parts of mental illness along with the grotesque and the despair. There are predators and prey; the colourful and the faded, all within the walls of the patchwork urban jungle that is testing it's many inhabitants to their limits. The exhibition runs from the 1-15 August. 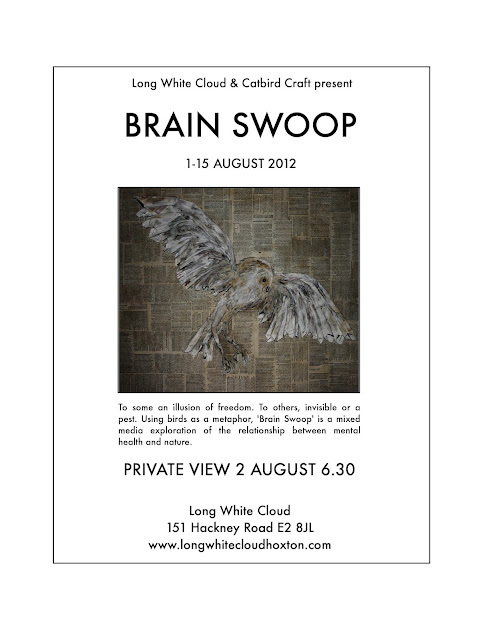 If you in Hoxton on the 2nd August please drop in to say hello to the cat and bird at the private view from 6.30pm. Long White Cloud is also a cafe and open until 6pm every day. I can testify that they make fabulous food (incl gluten free) and coffee, plus kiwi treats for the homesick or the curious! There is even kiwi beer and wine available in the finally balmy English summer evenings (check their website for opening hours). 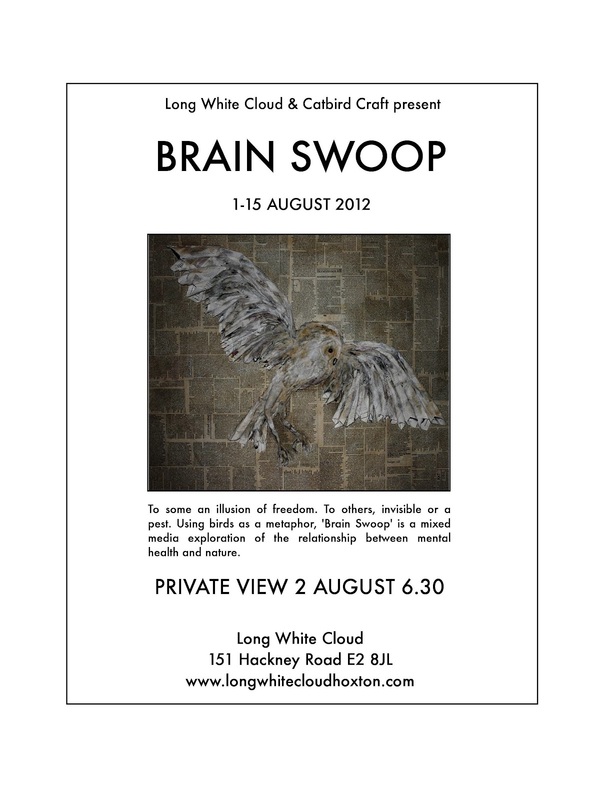 We are privileged to be part of the Shoreditch Fringe Festival and for having the amazing space at Long White Cloud to showcase our new works. Don't tell anyone but we are also proud to be part of the London Olympic cultural festival, although this is an unintentional honour as the cat did not realise when organising the dates that it would be smack-bang in the middle of it. I look forward to bringing you photographs of the exhibition after the view next week! But for now, I have a large tumbler of brandy awaiting me and it's not going to drink itself. 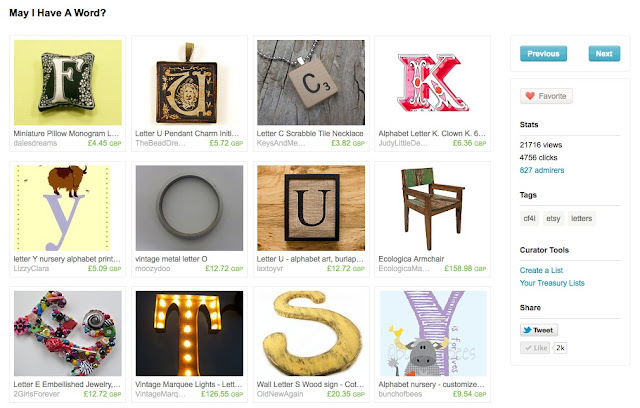 As of 12pm 24th April this amazing treasury is still on Etsy. Made by a member who said what a lot of us have been feeling in regards to the gray areas of Etsy's policies and with the slap in the face featuring (re)seller Ecologica Malibu, brought to our attention by Regretsy. Yeaaaaaaaahhhh. We believe them, right? And a warm welcome to a happy and bright 2012! 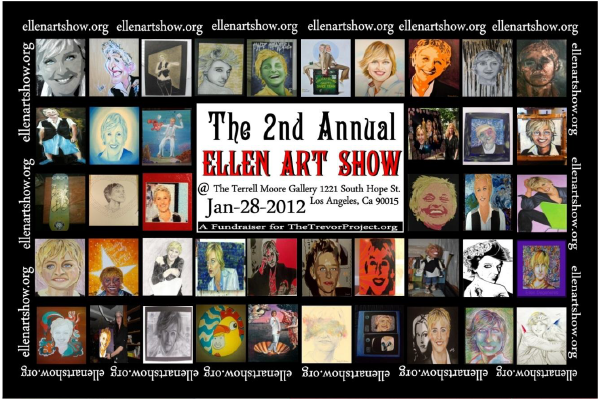 So, what is this about an art show, and which Ellen am I talking about? 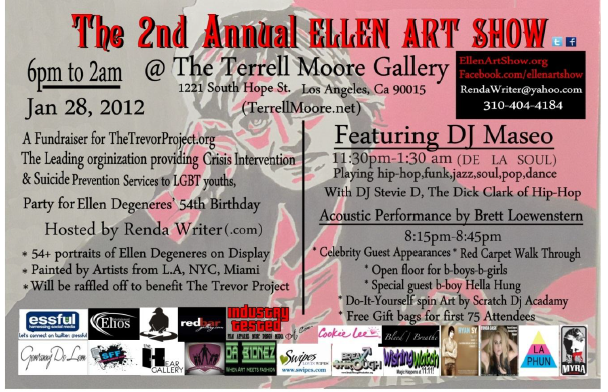 A good friend of ours, and fearless leader of the queer etsy team, Michelley is taking part in the 2nd Annual Ellen Art Show with over 60 artists from LA, New York and Miami, all showing their portraits of Ellen DeGeneres in LA on the 28th January at the illustrious Terrell Moore Gallery. This remarkable feat is the vision of Renda Writer a performance poet who, since 2007 has had a dream to perform his poem "Half Hearted" on Ellen's show. Last year he organised the 1st Ellen Art Show in Miami and this year, to celebrate Ellen's 54th birthday he wanted to have that number of artists to show in LA, the response was huge and soon eclipsed his original number, not being one to say no to artists wanting to participate, he said the more the merrier! Not only that, they will be raising money for the Trevor Project by raffling off the fantastic portraits, as well as celebrating Ellen's 54th birthday with performances from a wide range of entertainment. I only wish we could be there too!